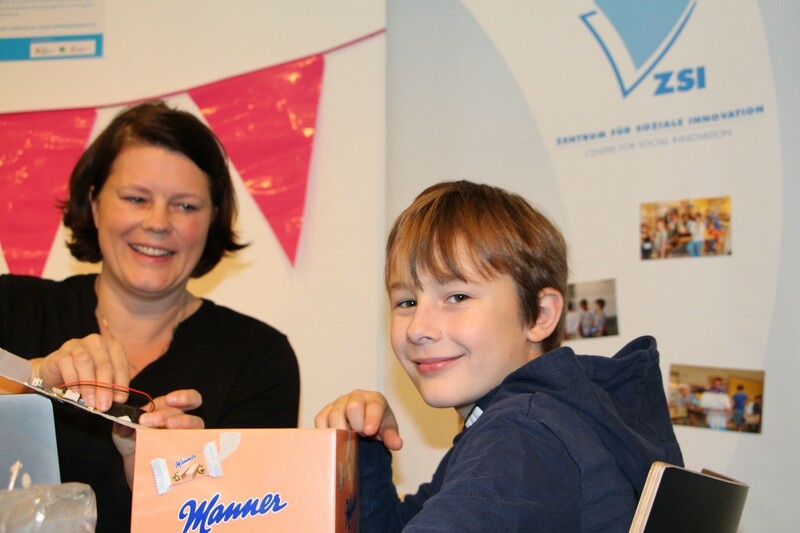 In the framework of the Mini Maker Faire 2018 in Salzburg, eCraft2Learn partner ZSI set up a common stand with Salzburg Research for digital education and entrepreneurship on 11th of November. Approximately 800 visitors interested in making, technology and science joined the fair. The main focus of the eCraft2Learn stand was to let children experiment with different tools and features like microcontroller (i.e. Arduinos and Calliopes), 3D printers, materials and constructions and nurture the entrepreneurial spirit of young visitors.